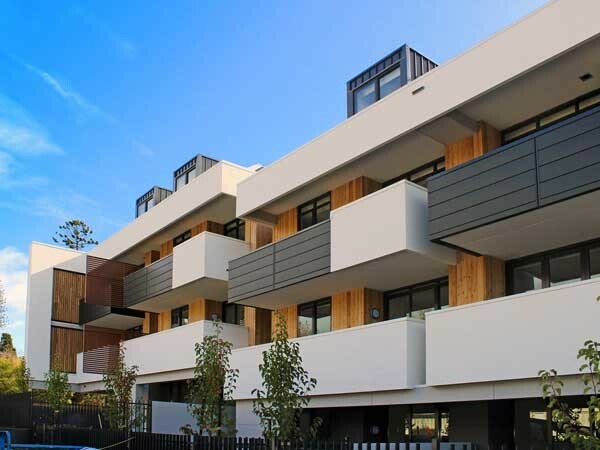 Leading Australian manufacturer of lightweight cladding products, Unitex® underlines the need for the building industry to support locally made CodeMark-accredited complete cladding systems as recommended by the Australian Building Codes Board. By doing so, the industry can avoid recurrence of the recent disastrous construction events caused by non-accredited and non-compliant cladding, which have left both resident and developer in a legal minefield. A local manufacturer that introduced Australia to lightweight cladding over 30 years ago, Unitex also dominated the European and UK markets as the cladding brand of choice, known for their proven insulated and protective properties. Never to shy away from third party accreditation, Unitex had their Unitex TWS system tested by both ABSAC and CSIRO. When ABSAC and CSIRO ceased their testing, Unitex went further and tested their more recent development, the Unitex Base Board System (Cavity and Non-Cavity) through the VBA (BRAC appraisal) and the National Construction Code (CodeMark) accreditation process, which included a BRANZ and a SAI Global appraisal. Unitex BAL Base Boards Systems have also been approved for Bushfire Attack Levels up to BAL 40. One of the earliest companies in Australia to have a full system appraised and fully accredited, Unitex is regularly audited to continually meet the standards of accreditation, thereby, safeguarding the interests of its customers as well as the reputation of the brand. Additionally, as the highest accredited supplier of audited EIF Systems for the Australian market, Unitex through its expert Technical Representatives, gives advice on-site; signs off on checklists for all building surveyors and builders; inspects during the build; and also provides manufacturer sign-off for building surveyors and builders to ensure compliance with the Unitex CodeMark Certification. Unitex also provides comprehensive training on its CodeMark and BAL accredited systems for all building surveyors and builders, with all attendees receiving their free copy of the Unitex Systems Checklist booklet at the end of the training session. Designed to provide attendees confidence and assurance for future sign-off and on-site checks, these sessions are completely free of charge and can be booked by contacting the Unitex Marketing department at the Unitex Head Office in Dandenong.